Situated in South Haven, this hotel is within 2 mi (3 km) of South Haven Center for the Arts, Warner Vineyards, and Michigan Maritime Museum. South Haven Lighthouse and Michigan Flywheelers Museum are also within 3 mi (5 km). Situated in South Haven, this bed & breakfast is within 1 mi (2 km) of Michigan Maritime Museum, Warner Vineyards, and South Haven Center for the Arts. South Haven Lighthouse is 1.6 mi (2.7 km) away. Situated in South Haven, this hotel is within 3 mi (5 km) of South Haven Center for the Arts, Warner Vineyards, and Michigan Maritime Museum. South Haven Lighthouse and Michigan Flywheelers Museum are also within 3 mi (5 km). Situated in South Haven, this motel is within 3 mi (5 km) of South Haven Center for the Arts, Warner Vineyards, and Michigan Maritime Museum. South Haven Lighthouse is 2 mi (3.3 km) away. Located in the heart of South Haven, this hotel is within 3 mi (5 km) of South Haven Center for the Arts, Warner Vineyards, and Michigan Maritime Museum. South Haven Lighthouse and Michigan Flywheelers Museum are also within 3 mi (5 km). How Much is a Hotel Room in South Haven? Hotels in South Haven start at $59 per night. Prices and availability subject to change. Additional terms may apply. 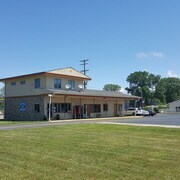 Are you intending on traveling through Benton Harbor and looking for hotels somewhere in or around South Haven? 7 hotels sit within a 6-mile (10-kilometer) distance. 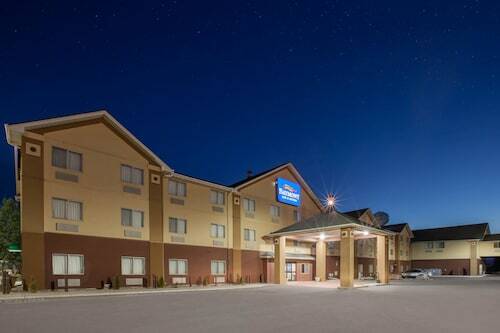 The Comfort Suites South Haven is up there with the most conveniently located Travelocity-listed hotels, one of a handful of places within a short walk of the South Haven central area. 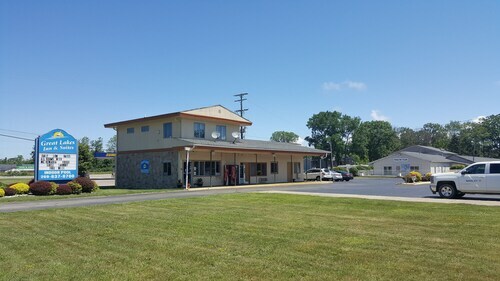 South Haven offers only a handful of budget accommodations; you'll find the Great Lakes Inn and Suites situated 3 miles (5 kilometers) from the town center. 17 miles (27 kilometers) away from the center of South Haven, you will find the Hidden Garden Cottages Bed & Breakfast. The Hampton Inn South Haven is about 2 miles (3 kilometers) away. Other Travelocity-registered hotels include the AmericInn Lodge & Suites Saugatuck - Douglas and the Best Western Plaza Hotel Saugatuck. Following exploring South Haven, venture out to explore the diverse activities of the Southwest Michigan area. Southwest Michigan is home to forests, and other commonly visited tourist sites include art galleries. Travelers in this region of United States of America enjoy cycling, shore fishing and winery tours. Saint Joseph is located 30 miles (46 kilometers) to the south of South Haven. While here, be sure to experience the Southwestern Michigan College. Dowagiac Travelocity-listed hotels and apartments include the Baymont Inn and Suites Dowagiac/Niles, MI and Castle Inn & Suites of Dowagiac. If you have plenty of time, consider visiting Saint Joseph, which is home to the Silver Beach. Saint Joseph can be found 25 miles (44 kilometers) southwest of South Haven. 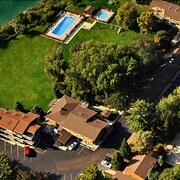 Travelocity-registered hotels in Saint Joseph include the The Boulevard Inn & Bistro and Dove Nest Bed and Breakfast. Before you say goodbye to Benton Harbor, ensure you catch a thrilling game. Get to Notre Dame Stadium, located to the south of South Haven. Modern visitors that need to find accommodation in the area surrounding the game can explore the Oliver Inn Bed and Breakfast or the Doubletree Hotel South Bend. Situated 35 miles (58 kilometers) away from the city center of South Haven is Kalamazoo-Battle Creek International Airport. 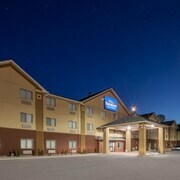 Find nearby rooms at Residence Inn by Marriott Kalamazoo East or Courtyard Kalamazoo Portage. It was a clean room except for dog hair on the chair. The staff was very friendly and the breakfast was quite tasty. We stayed on the third floor, the elevator doesn’t have a sign above it. If there was an emergency I’m sure we wouldn’t have been able to find it . For last notice it was a great experience. Nice warm room to come to was an awesome feeling. The only issue I had was there weren’t any complimentary coffee in the room. Other than that everything was good! 5.0 Nice hotel with easy access to everything!! This was a great hotel. Clean and comfortable. Within 5 minutes to the water, shops, restaurants. The staff were wonderful!! A bit pricey, but I would stay here again. Great place. Friendly staff, beautiful location. Will definitely return when we can stay longer. 4.0 Excellent accommodations for great price! Very clean, free upgraded room and all the staff was friendly and top notch! South Haven's Historic 'boarding House' ~ Block TO Town ~ 5 Blocks TO Beach!!! Cozy Cottage-huge Yard -walk to Beach, Close to Bike Path-family Fun!-sleeps 7 !